Experience easy living in this beautiful home in a great location! 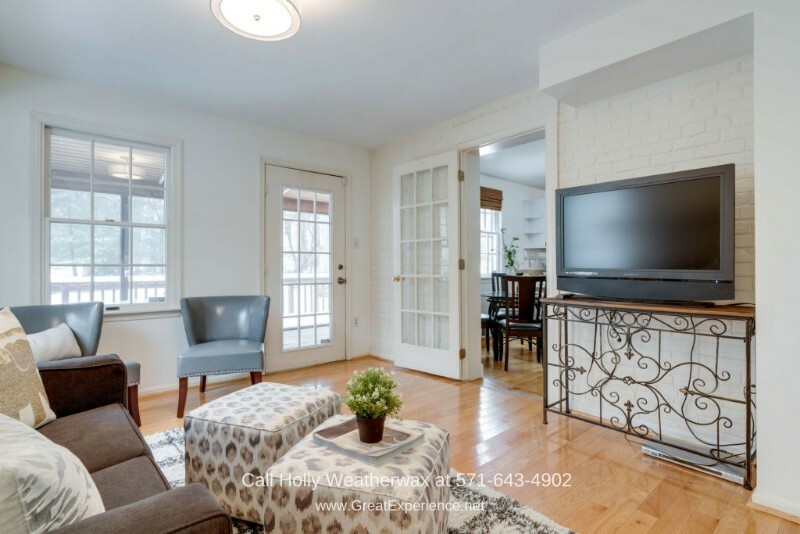 Enjoy the convenience, privacy, and space offered by this move-in ready Falls Church home for sale in the coveted neighborhood of Westhampton. 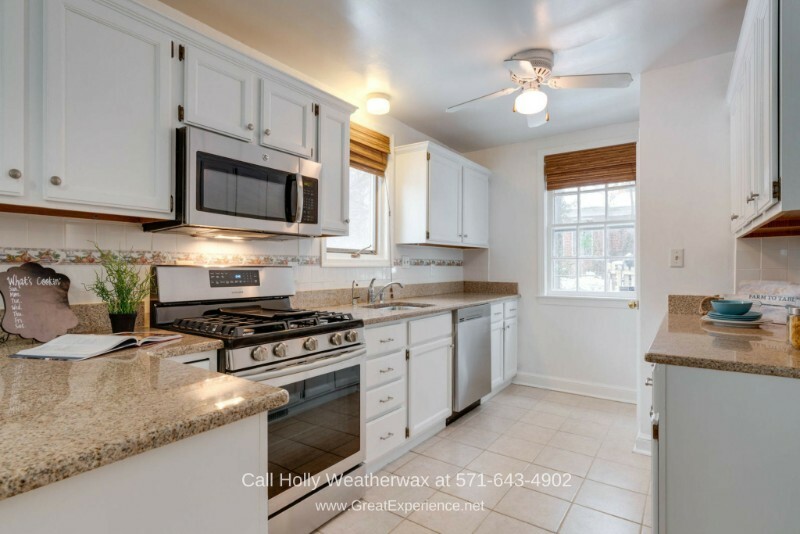 Located inside the Beltway and just minutes away from the West Falls Metro Station, grocery, shops, and restaurant, this home places all amenities within reach and simplify your commute. 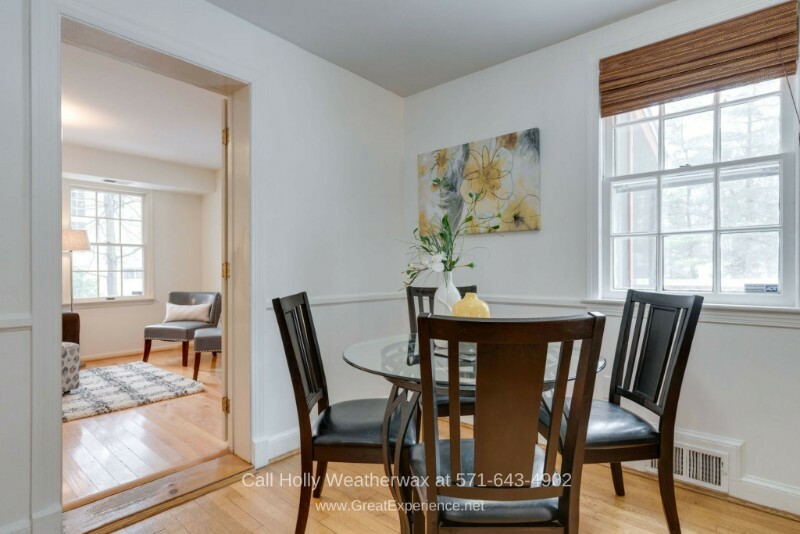 With 3 bedrooms, 3.5 bathrooms, and 3,220 square feet of living space, this home delivers the easy living you’ve been looking for. The previous owners have ensured that the home is well-maintained. New appliances, HVAC, water heater, and carpet were installed in 2018 for better comfort and convenience. The home is also freshly painted. Another perk of this home is it does not have an HOA, which saves you hundreds of dollars monthly. 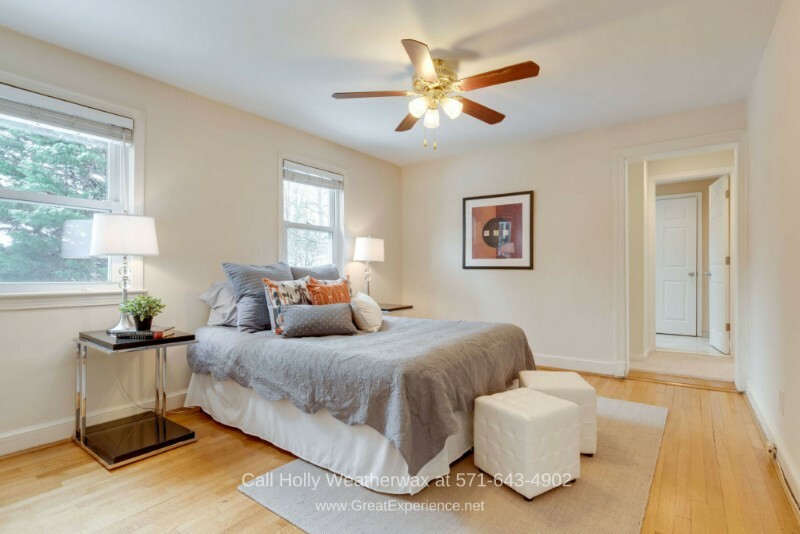 This real estate property in Falls Church VA offers the peace, retreat, and serenity you want, all wrapped up in a gorgeous package of space and light. Westhampton is a highly sought-after neighborhood, one of the hidden gems of Falls Church. This neighborhood is beautifully maintained and homeowners are investing in their homes. Turnovers are rare, which is not a surprise considering this neighborhood’s fantastic location. In this neighborhood, you are just minutes away from 66, 495 and Tysons, and Giant, Whole Foods, Trader Joe’s, and Harris Street are just nearby. All local schools are within a mile radius from this property. Currently, the school bus stops are just one house away. There are many things to love about this home and location is just the top of the list. Step inside the front door and into a large living room. Thanks to its polished hardwood floors, large windows, neutrally-toned walls, and wood-burning fireplace, this room radiates warmth and welcome. This spacious living room is an entertainer’s delight, a great spot for rest and relaxation. Feel your stress drain away as you enjoy the warmth of the fireplace while relaxing on the sofa. Next to the living room, through an arched doorway, is the eat-in kitchen. Your inner chef will surely be thrilled in this home’s eat-in kitchen. Bright, spacious, and recently updated, enjoy the luxurious feel of granite countertops, tile backsplash, and stainless steel appliances. There’s plenty of counter space for your favorite desserts. You won’t even have to worry about storage. This kitchen has plenty of cabinets available. A side entrance door is available so you can bring your groceries in from the driveway. There’s also a space for a breakfast nook, perfect for casual meals or when you have guests over. Placed right by the arched doorway, the location is perfect so you don’t have to walk far from the living room to enjoy a tasty meal. Next to the kitchen is a large flexible space you can use as either as a family room or a formal dining room. This family room boasts of polished hardwood floors, large windows that let in plenty of natural light, and a door that opens to the screened porch. Bright and airy thanks to the large windows that let in plenty of natural light, this family room is a great space to gather with your loved ones, or simply relax while watching your favorite show. Off the family room is a newly-carpeted den which you can use as a home office or a small guest room. For your personal space, you’ll love what this home offers. It boasts of not one, but two master bedrooms! The first master bedroom is located on the lower level of the second floor. Light-filled and lovely, it is a perfect haven to enjoy rest and sleep. Aside from its large windows and ensuite bathroom, the first master bedroom also features an adjoining room with newly installed carpet floors. 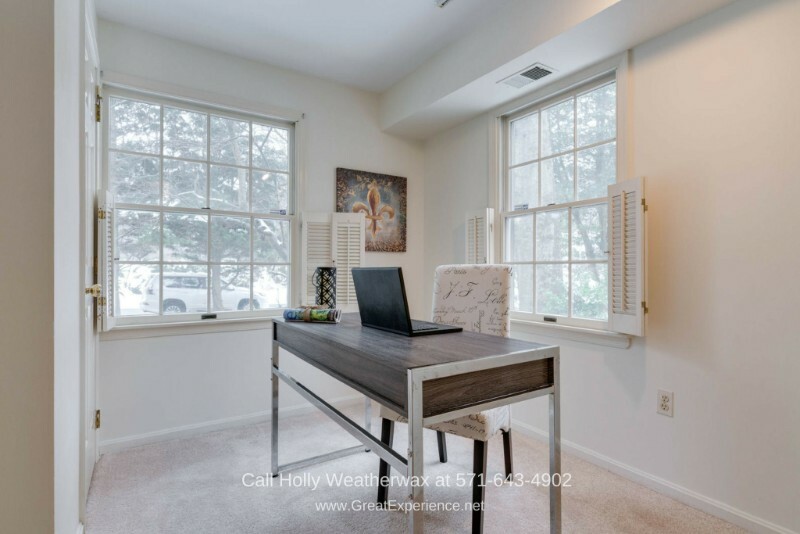 This adjoining room can be used as a second office, a nursery, a sitting room, or a large closet. The ensuite bathroom has been recently updated and now features a skylight, whirlpool bath, granite counters, double vanities, and tons of storage. 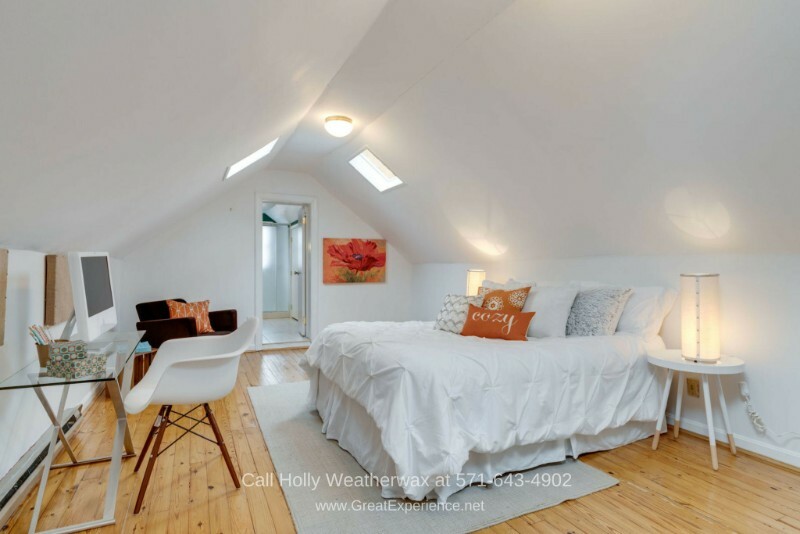 The second master bedroom is located on the upper level of the second floor and features a reading alcove, four skylights, hardwood floors, and a remodeled bathroom. Each and every part of this home is well-planned and built for comfort and space. On the lower level of this home is a great family room that you can also turn into an entertainment area or a home gym. With brand new carpet and neutrally-toned walls, this lower level is amazing, an ideal place to hang out with your friends, or simply to have fun. If you love to entertain, this lower level is also perfect for that. A large storage room and a laundry room complete the features of this lower level. A fabulous backyard retreat for more fun and entertaining. Just when you think you’ve covered all this home’s surprises, there’s one more amazing surprise waiting for you. The back door from the family room opens to a spacious screened porch that’s large enough to accommodate several outdoor chairs and a table. The screened porch opens to a deck ideal for entertaining and relaxing. 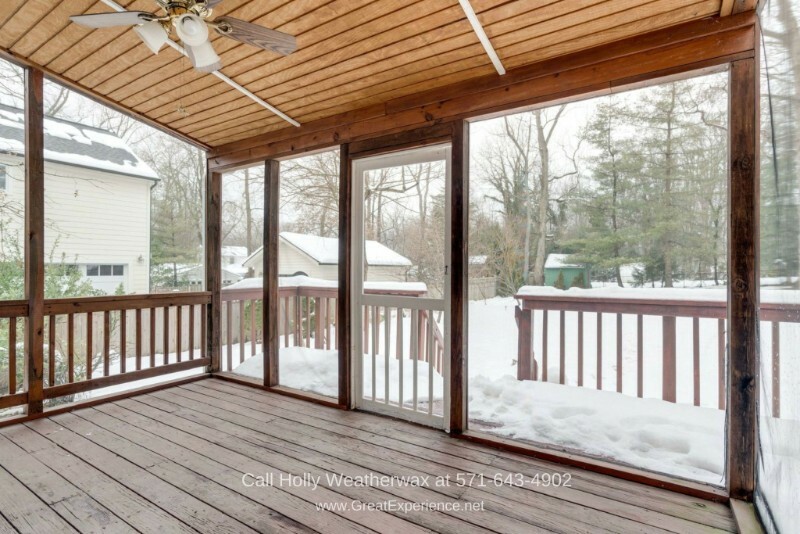 This deck is the best spot for barbecue parties on warm summer nights and al fresco lunches with friends. The fully fenced flat backyard has been meticulously landscaped to provide color throughout the year in any season. Other features of this backyard include a large concrete storage shed where you can store bikes, gardening equipment, off-season furniture storage, and more. 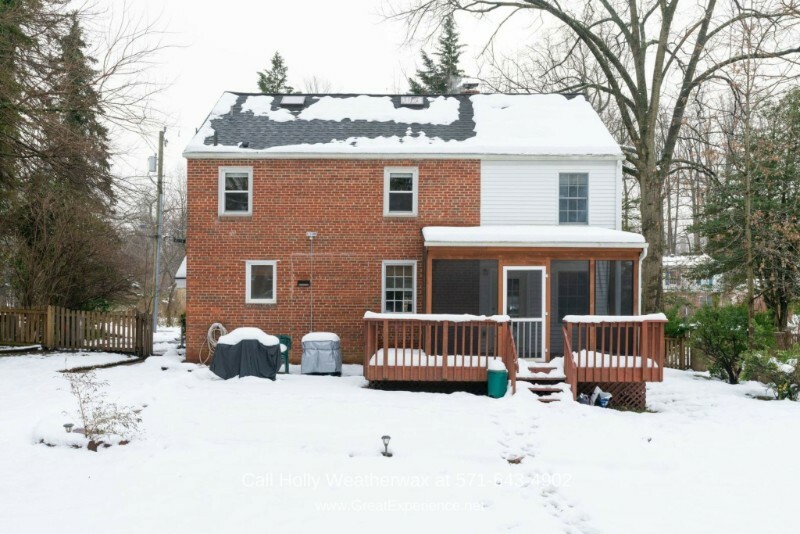 If you’ve been dreaming of a move-in ready home that’s centrally located, with an easy commute, close to great schools, and a flexible floor plan, this home in Falls Church could be a match for you. Enjoy excellent location, privacy, and space for $875,000. 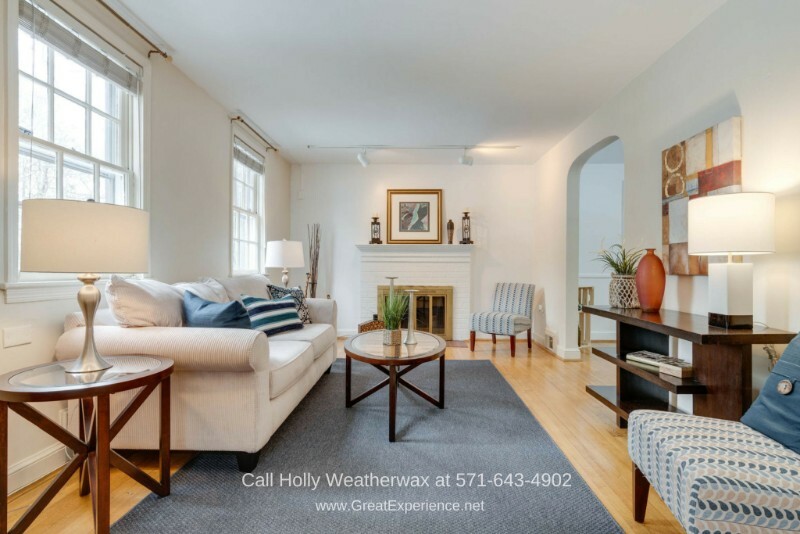 Call me, Holly Weatherwax, at 571-643-4902 and schedule a visit to see this home and its amazing features.